Sunset Reads is my favourite contemporary romance so far this year. Sparks fly and tempers flare from the outset as Cristina and William clash over working arrangements and deadlines. I loved how hot headed Cristina was and how it didn't take much on William's behalf to make her fly off the handle. He is arrogant and authoritarian in his approach which really annoyed Cristina. I enjoyed watching her tear strips off him when he annoyed her. Will isn't the type to back down but I like how he immediately apologises when he cools down after an argument and finds a sensible solution to whatever problem is at hand. Away from work William shows a different side to his personality and Cristina can't help but be charmed by him. William also finds Cristina irresistible. Their fiery relationship becomes equally passionate as they acknowledge their attraction to each other and they strive to strike a balance between work and play. William's stepfather is a nasty piece of work and his story arc added good suspense to the novel. I couldn't wait to see him get his comeuppance. The storyline involving Cristina's ex added another layer of tension and allowed William to show his protective side. I loved Sunset Reads. 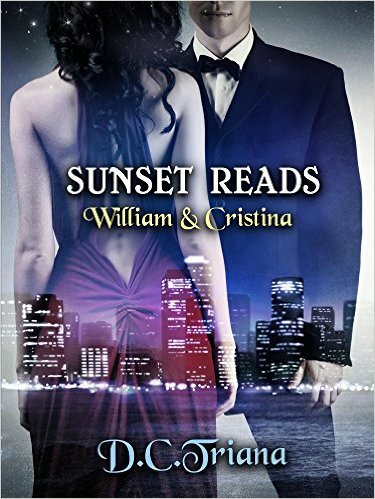 I highly recommend William and Cristina's story and I can't wait to read more from this author.